FirstService Residential, the leading property management company in North America, is raising awareness of career opportunities beyond the traditional real estate sector through its “Spotlighted Careers” recruitment series that highlights property management jobs. The “I Am FirstService Residential” microsite introduces new audiences to the dynamic opportunities and rewards of property management professions. Innovative elements such as profiles and career paths of successful associates demonstrate advancement within the organization. The site also features job openings in numerous markets across 23 U.S. states and three Canadian provinces that comprise the FirstService Residential portfolio. For more information on this week’s “Spotlighted Careers” and other property management jobs, visit join.fsresidential.com. 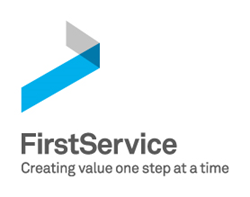 With an unmatched combination of deep industry experience, local market expertise and personalized attention, FirstService Residential delivers proven solutions and exceptional service that add value, enhance lifestyles and make a difference, every day, for every resident and community it manages. FirstService Residential is a subsidiary of FirstService Corporation, a North American leader in the property services sector. For more information, visit fsresidential.com.